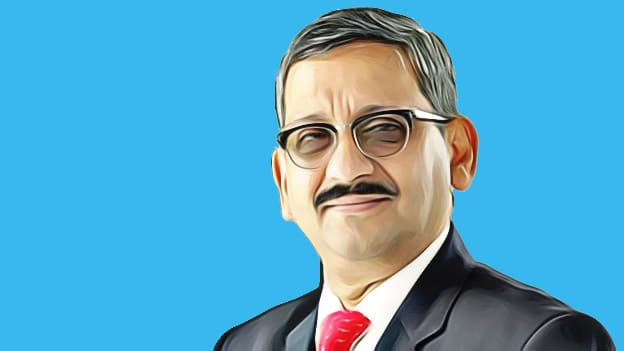 In an interaction with People Matters, R K Mohapatra, HR Director, Indian Oil spoke about managing people for one of the largest PSUs in the country, how government organizations are adopting technology and dealing with tech disruption at the workplace. Indian Oil’s HR Director, R K Mohapatra took the mandate of handling more than 30,000 employees in February last year. Before his promotion as Director HR, Mohapatra was IOC’s Executive Director in charge of West Bengal State Office. He also served as Managing Director (MD) of Indian Oil (Mauritius) Ltd, the company’s overseas subsidiary, from 2012 to 2015. Q: How do you perceive your role as the chief of staff, leading about 30,000 employees and how different is this from your experience in the business sector? Managing people in the organization is a new space for me. I am working towards the key goal of how we will be as an organization a few years from now. Things are changing quickly in the industry; if the company is not able to visualize the future, then you are not going to be successful. This is the basic activity that I have to do. The new role is giving me an opportunity to experiment with new things. According to me, innovation is the key element in HR. Different sectors in Indian Oil have prepared me for dealing with every situation. Involvement in business prompts one to assume one’s role as a leader. HR is the same as any other leadership position where you lead or manage your people. My past experiences are assisting me to do these basic activities, and now I am in a strong position to know more about the employees and officers. Moreover, I am more empathetic towards these requirements, and I consider HR as an interesting space where I can think and act differently. Q: Can you share how your past experiences are helping you in the current designation? In the West Bengal office, I had to manage a workforce of 1200 employees who had different aspirations and ways of working. Being in that leadership position gave me the advantage to understand each person’s positive and negative areas, and that proved beneficial for me to realize the essential requirements in this field. As a leader, I cannot define myself as a realist since I expect more satisfactory performance from employees who are left in the field. I get the advantage as a business person when I recognize my limits, i.e. to what extent I can go or cannot go. Q: You mentioned that gut feeling gives an edge over data analytics to manage people and accuracy? The primary aspect I share with my people is that you can’t replace the human touch and it has to stay. Earlier we were not provided with data as a part of decision making. It was after the digitalization process that everything began to be created and stored as data. Capturing of data is important and it acts as a tool to analyze people and take actions for the future accordingly. Technology gives me options, but in the end, it’s the human touch that takes the final call. Q: What is your standpoint regarding the view that PSUs were slow to adapt to the digital world, unlike the private companies? I cannot completely agree with this opinion. When we compare companies such as Mahindra and Infosys with our company, a wide difference can be seen in the working process. Our activities are mainly done by giving priority to business and at the end of the day, what appears to be relevant is only business. So, HR has to understand and supplement business by motivating people and by aligning their activities which can contribute to the business. We were not slow to embrace digital; we were enjoying a lot of scope and possibilities that were being available to us. Q: What do you consider as the actual impact of tech disruption on the workforce? A recent newspaper report suggests that ‘Artificial Intelligence will only define the way we are doing business rather than adversely affecting the workforce’. Due to the technological disruption, maybe there will arise the necessity of changing the way of working such as the requirement of a varied type of workforce or different competence. But I believe that the basic requirements of a person like motivation, happiness, content or satisfaction will remain. Q: How is Indian Oil planning to embrace technology that will change the future of work? Our organization has undergone three phases. The first phase was related to manual procedures when everything was done on a manual basis. We introduced the ‘Terminal Documentation Module’ around 1989 and implemented SAP in 1999 and 2000. Now, the application of Artificial Intelligence will be a great game changer for Indian Oil. The large base of potential customers is viewed as an asset, and we even claim that around 130 crore people are our customers. To address the customers’ requirements, we have formulated the CRM project and have connected with people through LPG distribution. The data generated from these places was later utilized to identify the requirements and to take proactive actions for our customers. Q: After the recent #MeToo movement, are there any plans to enhance your sexual harassment policies? Does Indian Oil intend to revisit policies on LGBTQ? Our organization’s current workforce includes nine percent of women. The number is low mainly because initially there were only manual based activities. Our sexual harassment policy is upgraded, and I would like to claim that we are ahead of other companies. We aim to promote women to top positions and to create gender equality in the workspace. As far as LGBT is concerned, we have not formulated any such policies, but we are working towards it.